In this short letter, Mr. Taft of The Taft School in Watertown, Conneticut, has just sent a $25.00 donation to Miss Berry. 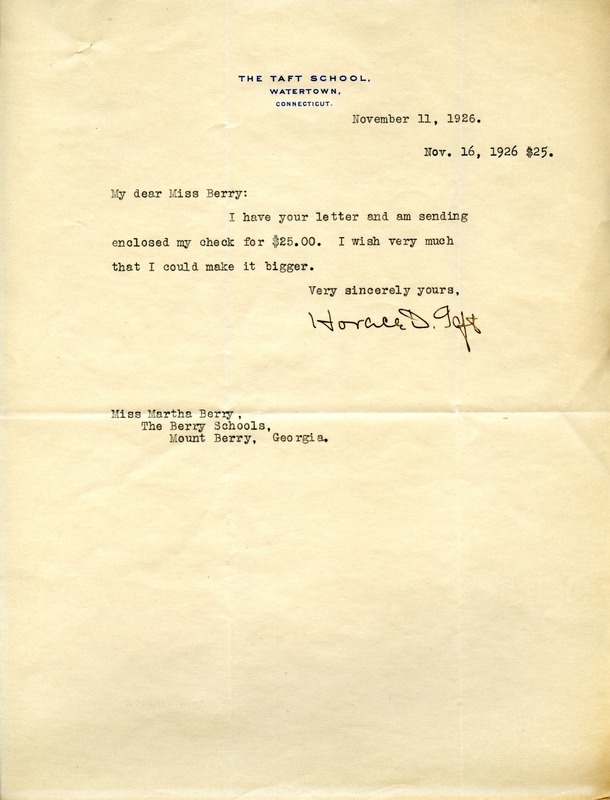 Mr. Horace D. Taft, “Letter to Martha Berry from Horace D. Taft.” Martha Berry Digital Archive. Eds. Schlitz, Stephanie A., Rachel Renaud, Kyle Dodrill, et al. Mount Berry: Berry College, 2012. accessed April 25, 2019, https://mbda.berry.edu/items/show/3466.